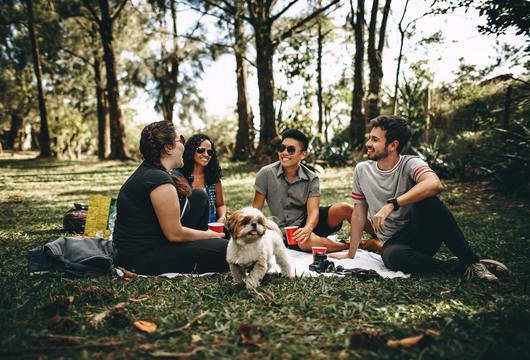 If you and your family are planning to go on a camping holiday now that summer is approaching, you may be wondering whether your dog should come with you. As you pack your car with your camping equipment such as camping gas bottles, are you able to pack the essentials for your pet too? When is it open? Dates vary from year to year — for 2019, you can go between 1st April and 4th November, while 2020 is open 1st April to 2nd November. This site boasts breathtaking views and welcomes friendly wildlife on a regular basis. You’ll also find a selection of hardstand and grass pitches offering you several ways to set up camp. Around the campsite, there is so much to do. Why not head to Dunstanburgh Castle — which has the glorious Embleton Bay as its backdrop — as well as the imposing Bamburgh Castle and Alnwick Castle, the latter of which Harry Potter film fans will surely recognise as it was used as the filming location for Hogwarts in the earlier movies. Just a mile away is the North Northumberland Heritage Coast which has a designated dog walk. If glamping is more your style, consider a trip to the Secret Valley farm. Based in Somerset’s Quantock Hills, the accommodation has its own firepit that allows you to barbecue and gaze long into the night. Away from the campsite is where you’ll find footpaths that lead to some family-run organic farms with views stretching into Wales if the weather permits. What do I need to know if I take my dog camping? Give your dog a trial run first in a local park or forest to make sure they’re fit enough for the long walks you could endure. This will also give your pet an added opportunity to get used to the sights, sounds and smells of nature — all part of the camping experience. It’s also useful to make sure that your animal’s vaccinations are up-to-date and that they’ve been wormed recently. Will your dog be troublesome? A camping holiday is usually a relaxing occasion in the countryside away from the hustle and bustle or our everyday lives. However, this won’t be the case if families are not going to get the chance to unwind if the peace is constantly being interrupted by a dog barking. If you are of the opinion that your dog must be more obedient, provide them with some training sessions before you go away. However, if you honestly cannot guarantee that you’ll be able to control your pet or that they will not be well behaved around people and other animals, it will be best for you and other campers if you opt not to take them. Their favourite toys — these will be perfect for keeping them entertained during car journeys, as well as reducing the risk of them picking up dangerous and hazardous items when walking around a campsite. A collar that includes a tag with their name, address and a mobile phone number for their owner — you don’t want to think about your pet getting lost from you while camping, but it’s best to be prepared should they ever wander away. Their bed — dog beds are often small enough to fit into a car, and they will also give your pooch so much comfort once they arrive at a campsite. Towels — you want at least two sets of towels for your dog; one for if they need a wash and another to keep them clean after they have been walking outdoors. Their lead — take note here that UK rights of access guidelines state that you must use a fixed lead measuring no more than two metres long between March 1st and July 31st (the period known as the ground-nesting bird season across the nation), as well as whenever they are near livestock. Dog poop bags — something you won’t want to forget if you want to reduce the risk of getting slapped with a maximum fine of £1,000 if you don’t clean up after your dog. Contact us today if you require any information regarding your camping gas needs.